Villagers near Yangon, Myanmar, are traveling to Japan this week to meet with the Japan International Cooperation Agency (JICA) and other Japanese investors of the Thilawa Special Economic Zone (SEZ) after engagement efforts in Myanmar have been met with very limited success. 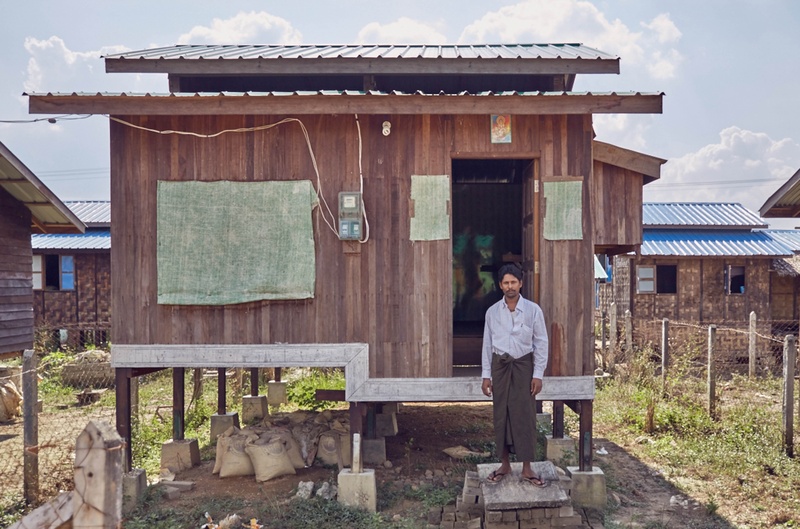 Issues with the first phase of the project, in which 68 households were relocated to substandard living arrangements, have not yet been fully solved by the project proponents, which include JICA, Japanese and Myanmar companies, and various Myanmar government bodies, despite the fact that they have been trying to implement the recommendations made by JICA’s Examiners who investigated the case answering the villagers’ official complaint in 2014. Furthermore, the villagers have concerns about the deficiencies in the plan for the second phase of the project. The villagers insist that the second phase of the project cannot go ahead as planned until the plans are improved and the community engagement process allows for meaningful participation. JICA which is expected to decide whether to invest in the second phase of the project in as early as October will ignore its own and international good practice guidelines if it approves a seriously flawed Environmental Impact Assessment (EIA) and proposed resettlement plan for affected villagers. The Japanese companies involved — including Mitsubishi, Sumitomo and Marubeni, who make up the Japanese company side of Myanmar Japan Thilawa Development Limited (MJTD), the operator and developer of the Thilawa SEZ — will continue to break their human rights obligations if the rest of the project goes forward without improvements. There are already a large number of Japanese tenant companies in Thilawa’s first zone. Many more are assumed to join in the second phase of the project. Villagers, who are slated to be resettled in a matter of months, recently published a statement voicing their continued concerns about the ways that the SEZ is going forward, stating that they will not support the project as currently planned. Since the start of the project, impacted villagers have attempted to engage in a positive way with the other stakeholders. The villagers initially did not oppose the project, but simply asked that they be treated fairly. They have made consistent attempts to participate, comment and raise concerns, and seek resolution to concerns in a constructive way. Almost three years after the first group of villagers was involuntarily resettled for the first phase of the project, compensation and resettlement issues have yet to be fully addressed. Basic infrastructure, such as a system for clean water or reliable waste management, is still lacking in the relocation site. Despite the villager’s wishes, no replacement land has been provided yet, and there was no effective and adequate plan in place to help them transition to a new, sustainable livelihood. Wage-earners who lost their jobs during the resettlement struggle to find new work pushing many families into debt. The second phase of the project is taking lessons learned from the first phase, according to the investors. But both the EIA and Resettlement Work Plans documents lack the level of detail required to really assess whether they will work, and how. Villagers and civil society have made attempts to get the stakeholders to improve the plans for the project. In consultations for the next phase of the project, villagers have been turned away from meetings while others are forced to take leave from much-needed work to attend, often without sufficient notice. In meetings they are not able to raise certain topics, and the issues and questions that do get raised go unanswered. The multi-stakeholder dialogue process created 18 months ago has not offered the solutions to the community’s urgent problems.